'Walking By The Ocean Frees My Mind & The Ideas Just Come.' Mandy James Talks About Her Writing. 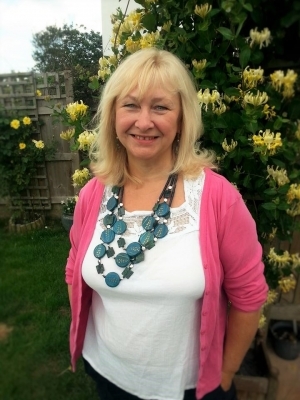 This week I am pleased to welcome Mandy James to my blog. Mandy is the author of numerous short stories as well as novels, including the Time Traveller books published by ChocLit; Summer in Tintagel; and her latest book, published a fortnight ago, Behind the Lie. Mandy, welcome to my blog. I simply have to start with where you live, because moving to Cornwall was a dream come true for you. That's especially interesting to me because coming to live in Llandudno was my own personal dream come true. 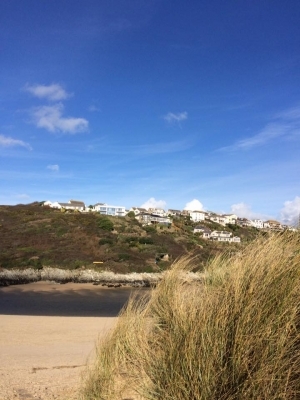 Can you tell us the story of your move to Cornwall? 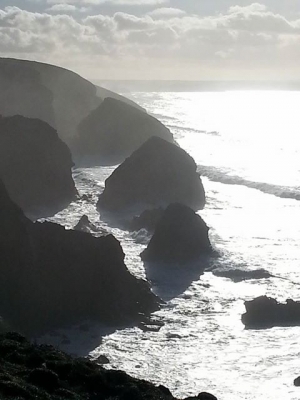 Does Cornwall provide inspiration for your writing? Yes. My last three novels are set here, and any future ones will be, I think. Walking by the ocean frees my mind and spirit and then the ideas just come. You were a child writer, weren't you? What were your stories about? Was time travel an early interest? I always wrote poems, songs and a few stories. I can't remember what they were now, but I think they had themes of adventure and derring do. No, time-travel wasn't really on my radar until A Stitch in Time. I was thinking of a catchy title for my novel and came up with the old saying. Then the whole story just happened in my head. I wrote it in six weeks! You have had time travel novels published and more recently suspense novels. In suspense, have you found your true writing niche? That's difficult to say. The first book I ever wrote was Dancing in The Rain, which was published after the time travel ones. It was originally called Severe Weather Warning and is about special powers and saving the world. I loved that book as it was inspired by our many trips to Monument Valley in Utah/Arizona. I do like a story with lots of mystery and perhaps a twist or two, but find it difficult to be pigeon holed into one genre. Last year I wrote a totally quirky book called The Calico Cat. It's about a woman who hates to conform and decides to just quit her job and walk around the South West Coast Path. She meets lots of interesting people on the way. It was a book that had to be written, but I'm not sure it is mainstream enough to be published. So a very long answer to your question is - yes and no! Your latest book, Behind the Lie, was published two weeks ago. Tell us a bit about it and about the character Holly. Holly has had a difficult past but has at last turned her life around. She has a loving husband who's also wealthy and she shares her time between a beach house in Cornwall and an apartment in London. She's also carrying twins and though there are one or two regrets in her heart, she is happy and ready to be a mother. Then the worst happens. One of her babies dies shortly after being born and this plunges Holly into despair. But then she becomes convinced that her son didn't actually die. Nobody believes her of course, why would they? Her son died and everyone knows it. They think she's just imagining things because of her grief and past depression. Holly can't accept it though and then something happens which gives her proof that he is still alive...against all advice she decides that she won't stop until she finds him. When you started thinking about the book, was there a breakthrough moment when you knew you had a cracker of a plot? What's next for your writing? More twisty stories set in Cornwall I think. I have a few ideas and some bits of novels waiting for completion, so there's plenty to keep me going for a bit. Thanks so much for having me as your guest, Sue. I have really enjoyed chatting! Hi, Catherine. Glad you like the sound of Mandy's book. A plot with twists and turns is what I enjoy too. Moira - you and I and Mandy are so lucky. We all live in such wonderful places. Moving to Devon was obviously the right thing for you to do and your writing has certainly taken off - there must be something in that West Country air! Great blog again! We moved to Devon two years ago,- just outside Exeter in the countryside - I wouldn't live anywhere else, we love it here and I'm sure it's helped my writing. The scenery, the feel of the place and the people, everything works for us. So glad Mandy feels the same and Cornwall is a glorious place, we are hoping to explore it more now we are settled. Your book sounds fascinating and I look forward to reading it! Such an fascinating post, Mandy. I can well imagine how inspiring the rugged beauty of Cornwall must be. I'm amazed that you wrote a story in six weeks. That must be such a fabulous feeling (she says, wistfully). Hello, Louise, it's nice to hear from you again. I'm glad you enjoyed the interview. As soon as I knew that Mandy had followed her heart and moved to Cornwall, I knew I had to invite her onto my blog! 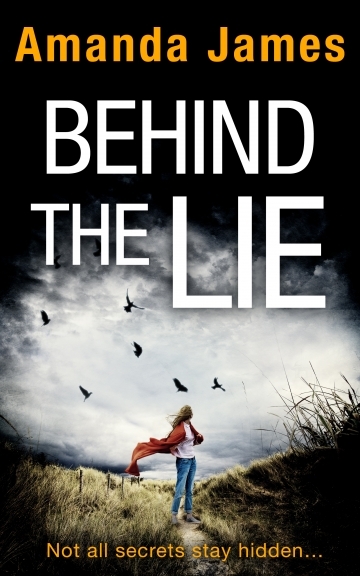 I agree with you about the importance of cover illustrations - they have to capture the essence of the book and I think Behind the Lie's cover does just that. I enjoyed this interview - thanks, Mandy and Susanna. You are both very lucky to live in places that you love so much. That sea air must have lots of inspiration in it! I do like the cover of Mandy's novel - it has atmosphere and ties in well with the blurb. Looks like a good read. Another one for the reading pile!